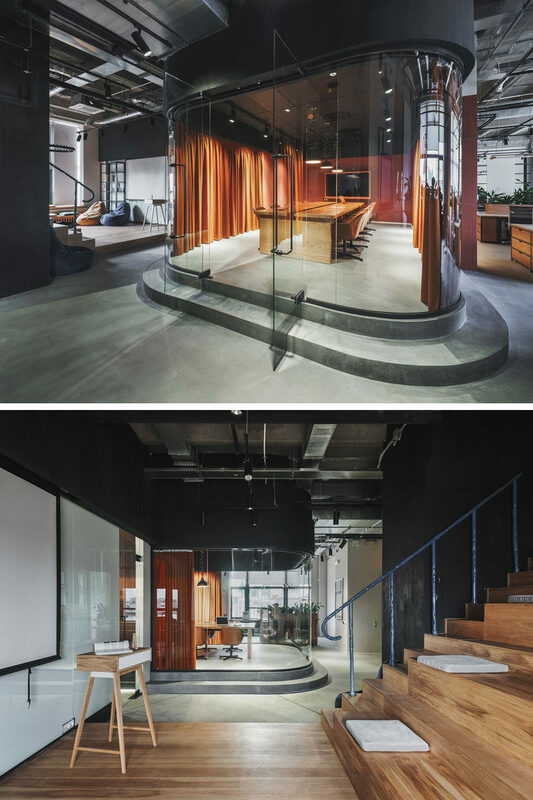 Paum Design have designed a modern office in St. Petersburg, Russia, that includes a meeting room wrapped in walls of curved glass. The meeting room draws the attention of the interior as it’s stepped up from the main office floor, creating a focal point within the office, while the glass walls allows the light from the windows to travel throughout the interior. 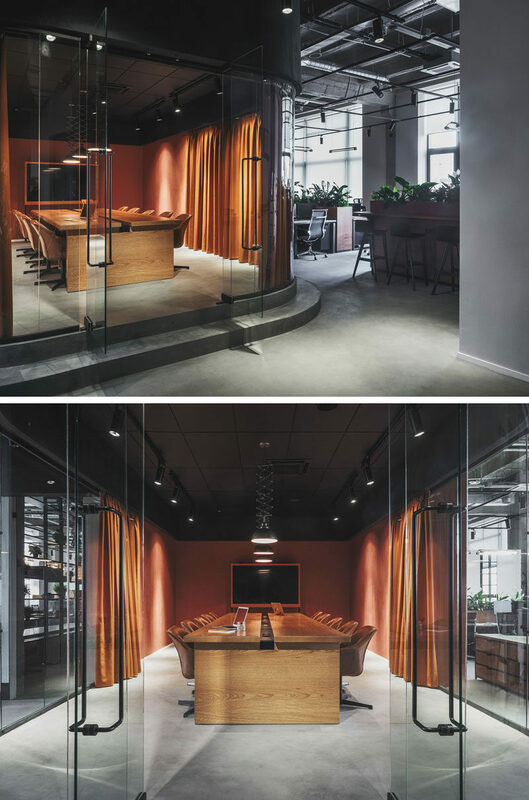 The dusty pink painted back wall that wraps around to the sides, and the soft burnt orange curtains within the meeting room, add color to the concrete and wood featured throughout the office. The curtains also help to provide privacy when needed for important meetings.